Finpecia is a synthetic antiandrogen that acts by inhibiting type II 5-alpha reductase, the enzyme that converts to (DHT). It is used as a treatment in benign prostatic hyperplasia (BPH) in low doses, and prostate cancer in higher doses. A May, 2008 study indicates that Finpecia reduces the rate of prostate cancer by 30%. It is also indicated for use in combination with therapy to reduce the risk for symptomatic progression of BPH. In addition, it is registered in many countries for androgenetic alopecia (male-pattern baldness). 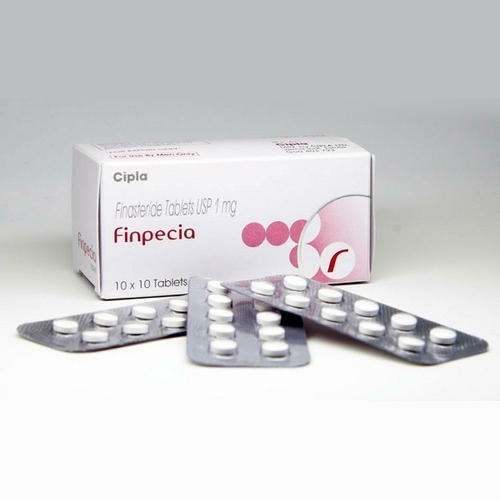 Finpecia was approved initially in 1992 as Proscar, a treatment for enlarged prostate, but the sponsor had studied 1 mg of Finpecia and demonstrated hair growth in male pattern hair loss. Merck sells it under the brand name Propecia. Established in the year of 2014, New Global Enterprises is the leading Manufacturer, Trader, Exporter and Service Provider a superior collection of Pharmaceutical Tablets, Pharmaceutical Capsules and much more. Owing to their purity, accurate composition, precise pH value, safe usage, and effectiveness; these products are extensively used.